20 Freeze Alphabet Set PS Brushes abr. Vol.8 - Free Photoshop Brushes at Brusheezy! Use white color and add some blue drop shadow in every brush. You can give a realistic 3D look in these brushes. You will have a frozen texture like in preview That's all ! Enjoy it ! 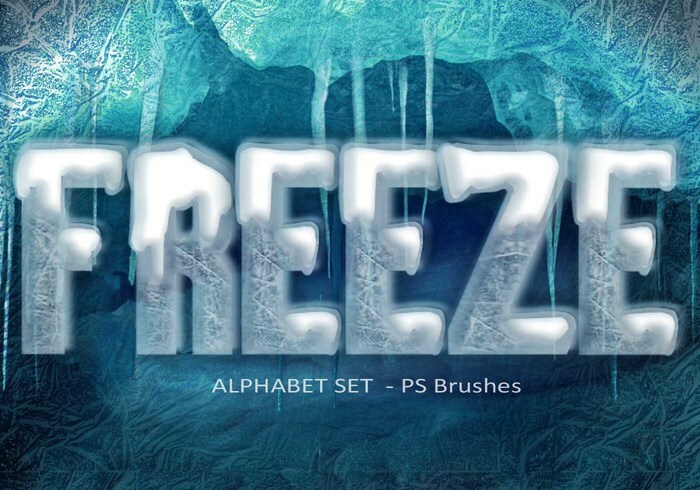 20 Freeze Alphabet Set PS Brushes abr. High Res 2500px Vol.8 Special Freeze Alphabet set.